If you are looking for inspiration at special prices, Dijtham regularly has a folder with specials boasting various products with interesting discounts. These specials do not always apply to the same category of items, we always try to adapt our specials to meet as many demands as possible. We also have a special of the month. This is a specific item per store or category, so all you need to do is choose your favorite store and you will see each month what we have planned for you with a very spectacular discount. If you want more information about our specials or the discounts applied, please do not hesitate to contact your local Dijtham store. Our staff will happily try to answer any question you may have. Did you just move into a new house? Are you tired of the look of one or more of your living spaces? Do you want to change the outside look of your home? Do not look any further. Dijtham has it all in store for you. 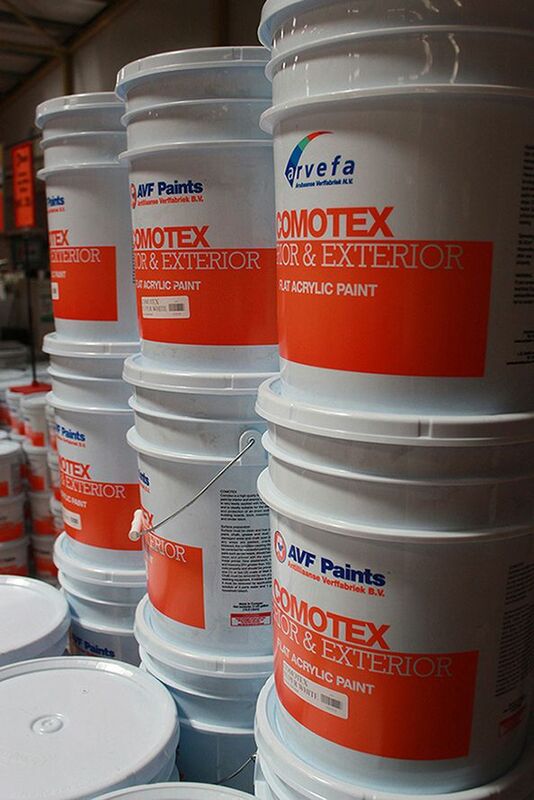 Our paints department boasts one of the largest varieties of products available. Whether you are looking for inside or outside paint, lacquers, spray paint, varnish, etc., we are sure to have it. 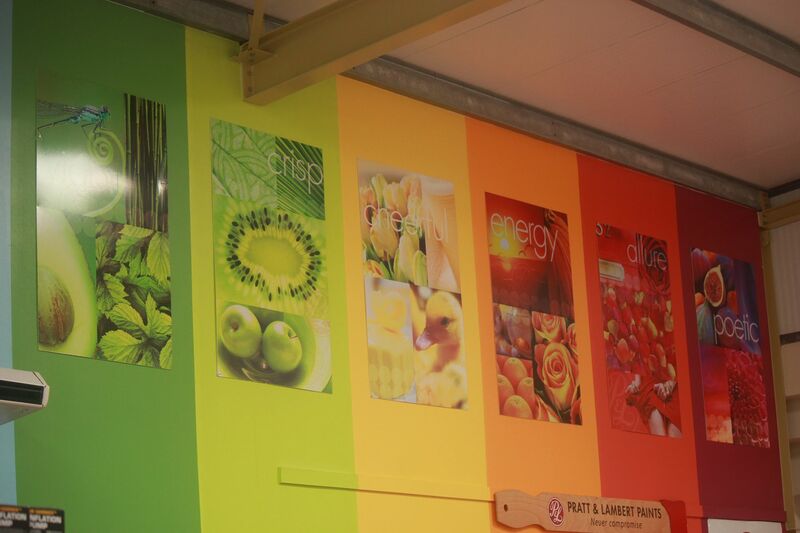 Many colors can be bought readymade but we can also accommodate specific tints and colors. Our mixing machine can make almost any shade of color you wish. Once you have the paint, you also need various materials and tools to do the job. Dijtham has a large collection of all kinds of products related to painting such as brushes, paint rollers, protective plastic, tape, cleaning material, etc. Come and visit your favorite Dijtham store and do not forget to have a look at our special prices and discounts. They often contain paints and other related products. Who knows, it might give you some ideas for a new project in or around the house. Dijtham is known as the ONE STOP STORE! Why? Because Dijtham strives to offer all you need with regards to any DIY project you decide to take on. Customer service is one of our highest duties. That is why we invest in our staff to make sure they are professionally schooled and have an extensive knowledge of all the products. They are here to advise you on any question you might have. Naturally our assortment also needs to be extensive to provide the all-round service you can expect from any of our stores. That is why Dijtham is known for the so-called “turn-key” projects, in which we offer our customers all the necessary material and equipment for a specific project, allowing the one stop shopping experience. In addition we also provide various extra services such as delivery and installation at your home and even maintenance of some products is possible. Dijtham feels this is the only way to ensure a perfect service to its customer. Most construction markets do not offer this kind of services and therefore diminish the customers’ shopping experience. Dijtham, on the other hand, likes to establish a close and personal relationship with its customers. Please come and visit one of our stores, this way you will see for yourself that Dijtham takes service to a whole new level! Do you have a project in or around your house or business location that is just a bit too big to do by yourself? You may think you need to take on an architect and a construction company but Dijtham really is the one-stop-shop. We do not only provide all the material needed for bigger projects, we can also install it for you. On our website you can find a few examples of projects we have realized for various partners. You will see that we have divided them into various categories such as: fencing, decking, pool, clinker, pergola, palapa and garden projects. This way you can be convinced of the professionalism with which we take on each type of project we are given. You probably have already an idea of how your project needs to look and maybe you have already visited our store to scout the materials and have a rough estimate of the materials pricing. But our staff can also advice you on which material it is best to use for your project. It could be for example that certain wood types are better for the project than the one you have in mind. Please do not hesitate to contact us by phone, e-mail or a visit in one of our stores to make an appointment to discuss the possibilities. We will surely be able to talk through your ideas and make a suitable offer for the material and installation of the project. And of course, we can also provide excellent after-sale service. Do you want to see our projects? Go to see our Extra Services. !